If you’d like to get your foundation problem fixed for good, you’ll need to know exactly what’s needed for your situation. See how our foundation repair contractors go above and beyond your average foundation repair contractor, because we prioritize perfection in the services we provide to ensure complete safety for your home and family. At Crawl Space Repair, our team of foundation repair contractors are here to assist. We have the knowledge, experience, and tools needed to solve your problem. Over the years, we have repaired over a thousand homes from structural damage, with reliable service you can trust. 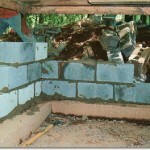 We repair the foundation of your home with attention to detail and high standard like it were our own home. If you’d like to meet with one of our experts for a foundation inspection, consultation, and a foundation repair quote, contact us today! At Crawl Space Repair, we bring experienced, proven crawl space solutions straight to your door, and we have easy, long lasting solutions for your foundation problems! Issues like cracking foundations, walls buckling, and floors sagging can destroy your home value. You just feel terrible about the way your home appears and feels. Our foundation repair services were created to do more than just repair your home — they also return your structure back to its original state. Regardless of the reason you’re experiencing a foundation issue in your home, Crawl Space Repair will conduct a thorough inspection of your foundation and we’ll let you know exactly what steps need to be taken to permanently repair your foundation and restore value to your biggest investment. We provide foundation repair, basement waterproofing, wet basement repair, and crawl space repair. Serving Allentown, Breinigsville, Catasauqua, Bethlehem, Easton, Saucon Valley, and the Lehigh Valley. Also servicing Pocono Summit, the Pocono Mountains, and the Poconos area. Thank you for saving our home. You're the first contractor I've felt comfortable with ever in PA. You truly delivered what you promised.